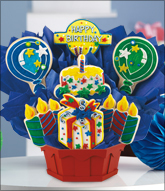 We take pride in delivering a beautiful, handcrafted gift that tastes as good as it looks! To ensure your recipients cookie gift experience is special, we offer hand delivery service wherever possible. Hand-deliver gifts are prepared from the location in the territory where your gift is being delivered. When hand-delivery is not selected or available, your product is carefully packaged and shipped via a third party carrier. During the ordering process please select a date at least one day from the time you place your order. Hand-delivery is available on Saturdays to some zip codes. Hand delivery is generally not available on Sundays or Holidays. Sundays and Holidays are excluded when your items are shipped to either commercial or residential addresses. Under normal conditions, every effort is made to have your order arrive on your requested delivery date. Hand-delivery and/or shipping is available to most businesses and residences in the U.S.A., except for APO, FPO or PO Box addresses. 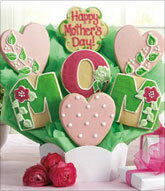 Please contact us for delivery to these special locations. When hand-delivery is not selected or available, we rely on a third party to deliver your order. While we package and ship to arrive on your requested delivery date, your shipped package may arrive one or two days either before or after. Confirming the exact time of delivery for shipped items is beyond our control. Third party delivery days are Monday through Saturday (excluding holidays). Please understand delays outside our control also occur due to the following: weather, product availability, holiday rush season, rural area constraints, lack of response by the recipient, incorrect address information entered, invalid delivery date entered and other conditions outside our control. Prior to delivery, a charge of $21.90 or more will be applied to your credit card to redirect packages when incorrect or incomplete addresses are given. Some cookie gift purchases may require or be eligible for special bulk shipping rates. We will charge an additional amount for purchases which require bulk or multiple package shipments. 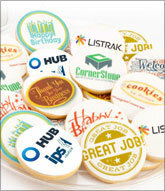 Please contact Customer Service at 1-855-COOKIES if you need further information on bulk item shipping rates. Local pick up is available where our stores are located. 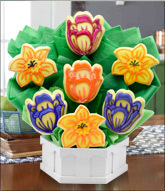 View our Cookies by Design locations to see if there is a shoppe near you. 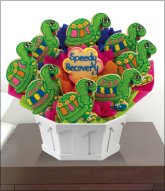 We guarantee delivery to the mailroom or receiving department of colleges, hotels or hospitals. It is then up to those departments to deliver the package to the correct recipient. This may cause delays as the mailroom or receiving department does not guarantee delivery within a given period of time.